The South West of the UK is home to a number of moors but Dartmoor is the most well-known around the world, and among photographers. The 954km2 national park is famous for its rugged and often mysterious landscape which offers many opportunities for stunning shots in unique locations. To access the best bits of the moor, and not just the tourist hotspots, a good pair of walking boots and a map is required. So it’s always worth knowing what to expect, where to find things, and what kind of kit is needed so unnecessary equipment isn’t dragged through bogs, up steep hills, and along stony trails. Aside from walking boots, a waterproof bag and jacket, a map, compass, and something to eat and drink, you’ll want to think about what camera kit you’re going to take with you. With a variety of locations and subjects on the moors, it’s a good idea to be prepared to ensure the number of shots missed is minimised, though you also want to be careful of making sure you’re not taking too much equipment if going on a long trek. Two lenses, a prime lens, and telephoto, are a good option. A telephoto lens with a broad range can be useful for switching between landscape and wildlife photography. The other advantage of the telephoto lens is that it can minimise the need for lens changes is bad weather conditions as it’s often hard to find sufficient shelter for a quick switch when you’re out in the middle of the moors. Prime lenses will be better for indoor shots, and night photography. If you’re planning to stay out late to capture a moonlit tor or try long exposures it’s worth taking a spare battery as plug sockets are few and far between as well. A tripod is going to be essential for taking long exposures of waterfalls, streams, and stars but a monopod might be a better option as a standby depending on what you want to capture (and it’ll also make a great walking stick). The best place to go for sunrises and sunsets, based on the number of tripod-laden photographers that congregate there on a regular basis, is Brentor on the western edge of the Moor. 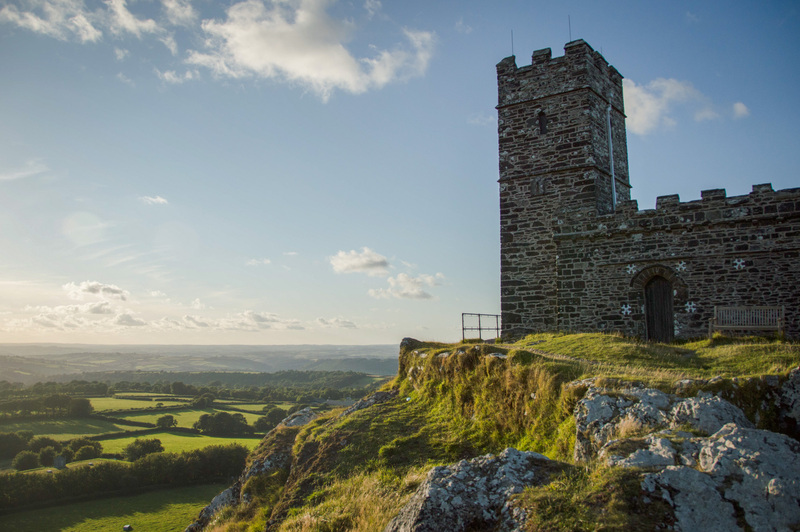 Not only is it home to a church that’s the best part of 1000 years old, and the remnants of an Iron Age hill fort, but at 330m above sea level, the tor offers breath-taking views over Dartmoor. Although it’s a fairly steep climb up to the church there is a car park close by, so it’s safe to take the heavy kit with you. There’s just no other way to get to some of the best parts of the moor than by hiking there, but more often than not it’s worth it – especially in the case of Whistman’s Wood. The ancient wood is one of unique spots on the moor with its twisted Oak Trees offering visitors a Middle Earth-like experience. There’s a car park located on the opposite side of the road to the Two Bridges Hotel, and from there it’s about a two and a half mile walk. The claustrophobic little wood has a unique character so whichever way you shoot it there’s a good chance you’ll get an interesting shot. 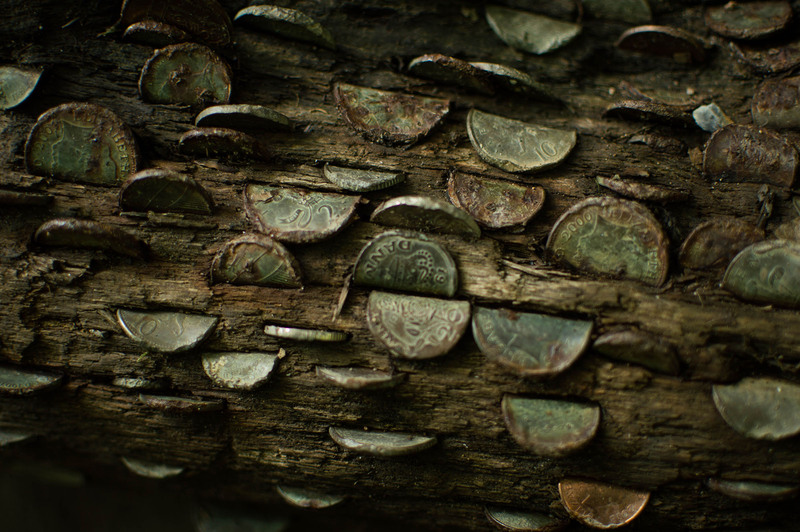 Whether using a wide or narrow lens to capture the expanse of the wood or its quirky details you can’t go wrong. If you don’t have a wide lens with you panoramas can really help to capture its unique character. 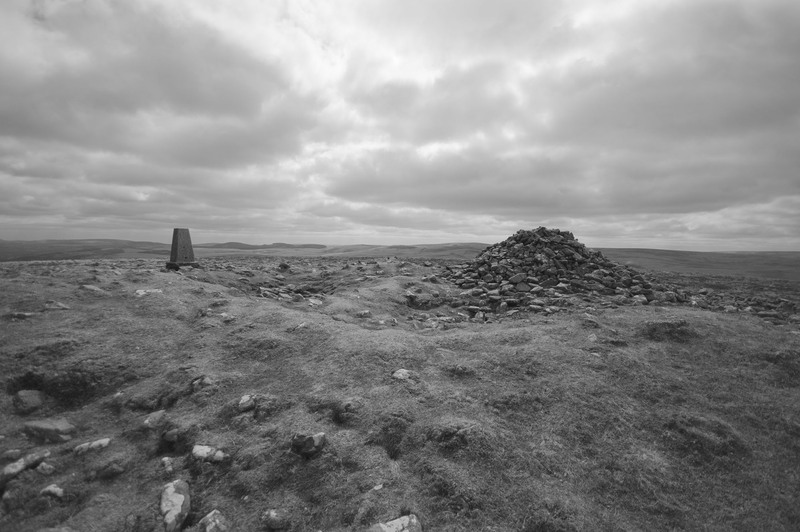 If you want to photograph an equally enigmatic but wider landscape Cosdon Hill is another spot which is also panorama-friendly, offering excellent views and an ancient stone cairn. If it’s a clear day on Dartmoor (which happens more often than you might think) you aren’t going to get the most exciting shots in the midday sun. However, it’s the perfect time for grabbing a spot of lunch in one of Dartmoor’s many inns and exploring its many quaint villages. Widecombe-in-the-Moor is a popular tourist spot but there are many other less well-known spots to have lunch and collect a few great snaps. The Highwayman Inn is one particularly interesting spot which is reportedly one of the most haunted inns on the moor and features a dining room made from an old shipwreck. When shooting indoors in confined spaces a fast prime lens is a good option, as long as the focus length isn’t too narrow, or a wider lens combined with a high ISO setting. 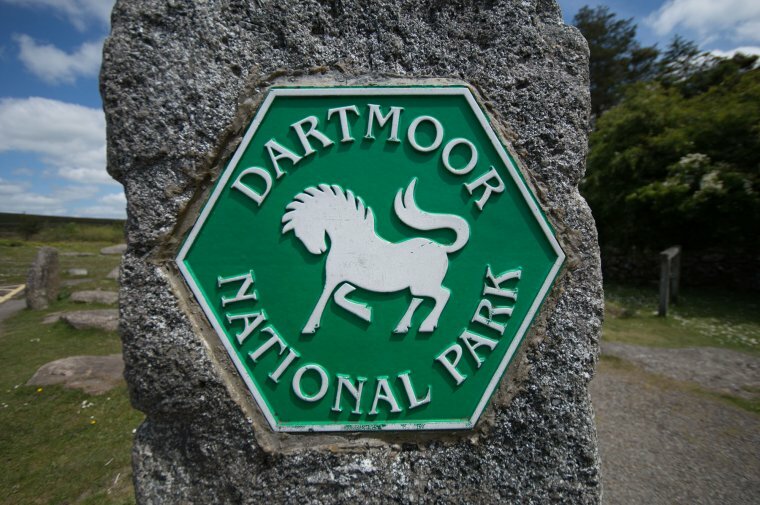 Dartmoor isn’t just home to natural wonders – there are plenty of fascinating buildings (and the remains of them) on the moors as well. The afternoons are a great time to visit some of the Moor’s castles with romantic ruins such as Okehampton Castle, and a complete castles like Drogo, being great places to shoot in the afternoon light. The castles are run by Historic England and the National Trust so if you’re using your photos for commercial purposes you’ll need to seek permission. Lydford Gorge is another impressive spot to visit, also run by the National Trust. 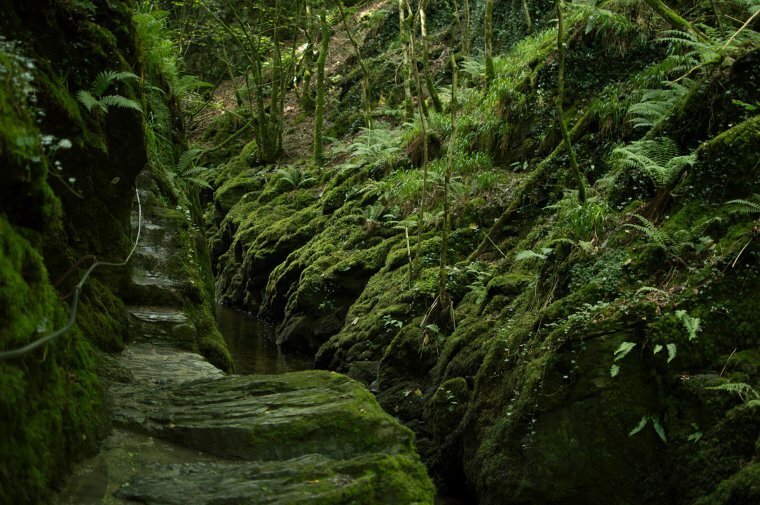 There’s a fee for entry but the gorge is the perfect spot for dramatic shots and the nearby village of Lydford is also worth exploring with its own small castle, and quaint church. It’s a great example of a place where having a telephoto lens with a wide range is useful as there are some areas where you’ll need to go as wide as possible to capture your surroundings and others where a narrower focal length will help to capture some unique details and textures. While it’s not recommended to go walking on the moors at night there are plenty of conveniently placed car parks that will allow you to get some impressive shots of the tors and the stars. 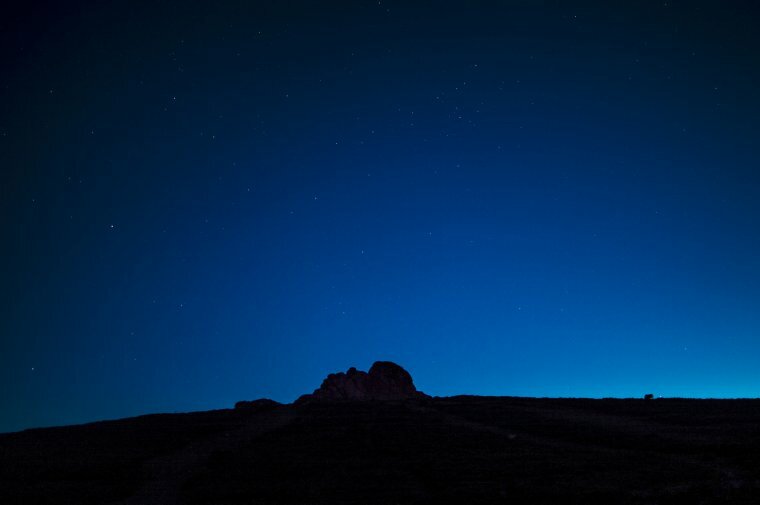 Although Haytor is the most popular and probably most photographed spot on the moors and is usually good for nothing more than a picture postcard shot, the night time offers the perfect chance to put a more interesting twist on the familiar landmark and practice your astrophotography. Time your visit so you leave at least a couple of hours after sunset so that all light will be gone and you have a nice dark (and hopefully cloud-free) sky. 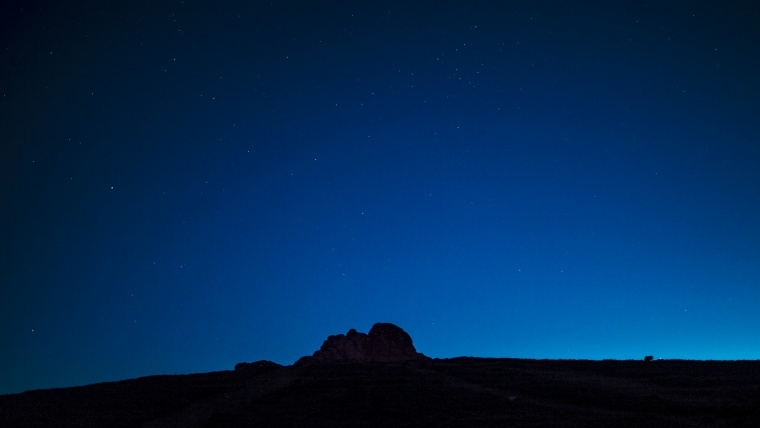 However, the hours after sunset do make for a deep blue sky which can help to create its own unique mood. The best settings for astrophotography will vary depending on your camera but using a prime lens at its widest aperture (or maybe just a few stops up for extra clarity) is a great place to start. In terms of shutter speed the longer you leave the shutter open the more likely you are to notice the movement of the stars – which is great for star trails but not for nice sharp images. 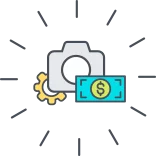 How long you can leave your shutter open before trails start appearing will depend on your lens. According to the “600 rule,” all you need to do is divide 600 by your focal length (x1.5 if you’re using a cropped sensor) and the answer will tell you the maximum shutter speed in seconds before your stars start streaking. 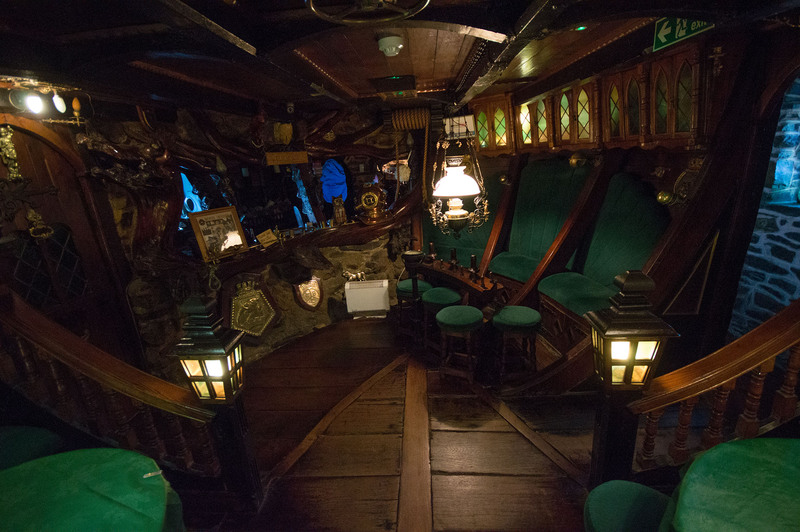 For example, using a 50mm lens this will be 12 seconds. Increasing the ISO sensitivity will really help to pick up as many stars as possible but be wary of sensors which create a lot of noise at higher ISOs as it will become hard to tell the stars from the speckles. To get the most out of your moorland shots it’s well worth spending some time finessing them in Lightroom. While the moors can be magic while you’re up there, they can look less exciting in raw pixel form. With lots of greens and browns and greys colour pictures shot on a nice summer’s day can look a bit boring. Black and white suits the moors really well and really brings out the drama of the landscape, especially on cloudy days, though be careful as it’s easy to get carried away. Processing pictures of stars can also be difficult, but one easy trick is to increase the clarity in Lightroom which will help bring all the little points of light out. Photographing the moors can take practice, and may require repeat visits and persistence to get the perfect shots you want. Adverse weather conditions can make life difficult for a photographer, especially if it starts raining or snowing, or the fog rolls in. Whole tors can disappear in an instant in a thick fog so be prepared for disappointment, but greater rewards when you get the shot you’re after.